An American Actor, as well as Director, is named as Craig Coyne. He was the first cast in Jarhead and has since appeared in films such as I Hope They Serve Beer in Hell and Look at Me, The Snowtown Murders, and starred in Lonelygirl15. Being as a comedy writer, he created, wrote, and directed for "Funny or Die". He has also written a play called Delusions of Grammar, which earned him a spot in the selection of the 2016 William Inge Theatre Festival in Kansas. His first play, Delusions of Grammar, was named an official selection to the 2016 William Inge Theatre Festival. He is a very talented actor. Barbara Bush is one of the twin daughters of former President George W. Bush and the CEO of the health equity organization Global Health Corps. For Appearing in movies like Jarhead in 2005, Ask Play in 2017, Lonelygirl 15 in 2006 and many more. For marrying Former President's daughter Barbara Bush, George Bush. Just four months after the 37-year old actor and screenwriter, Craig Coyne proposed to Barbara Bush, daughter of 43rd President of United States, George W. Bush and granddaughter of 41st President of United States, George H.W. Bush, they tied the knot with each other in a small ceremony on 7 October 2018, in Kennebunkport, Maine. The news of their wedding surprised many of their well-wishers. It almost happened out of a sudden. 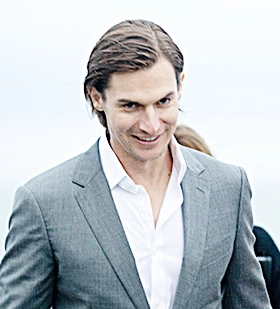 However, the 36-year old former first daughter Barbara Bush spoke about her rushed wedding to Craig Coyne. The reason was she wanted her 94-year old grandfather, George H.W. Bush to attend and bless their wedding unlike her grandmother, Barbara Bush could not. Her grandmother died six months ago at the age of 92 on 17 April 2018. And the health condition of her grandfather had also gone declining for several years. And Barbara feared her grandfather might not be able to attend their wedding led the Craig-Barabara to decide for themselves to tie a knot with each other. Thus, the couple rushed their wedding very early than any other anticipated. On the wedding day, her grandfather was able to be right by Barbara's side at the wedding. The former president resides in Maine. Thus, the wedding ceremony took place at Maine so that they could spend quality time with their family members. Despite the rush, the newlyweds are more than happy to get married. They said they were ready to get married and they found a right time for it to happen. Four days after their wedding, the couple has been spotted in New York City, a day before a party hosted by their family and friends in their honor. The couple was spotted in a public place for the first time after their wedding smiling and holding hands as they walked through Manhattan. Craig Coyne was born on 4th April 1982 in Nashville, Tennessee. Currently, his age is 36. He was born to Edward Coyne and Kathleen Coyne, his parents. His father was a businessman and his mother was an actress. His full name is Craig Louis Coyne. His nationality is American. His birth sign is Aries and his religion is Christianity. He has also two siblings, older brother, Edward James III, and younger sister Kathleen. Moving towards his education, he was graduated from Vanderbilt University in Nashville, Tennessee and served as a Page in the U.S. House of Representatives. Currently, he is living in Los Angeles, California, USA. Craig has got a very attractive body features. Talking about his height and weight, his height is of 1.83 m (183 cm) and his balanced weight is 79 Kg (174 lbs). His bicep size is 15.5 in and his body measurement is 40-32-35 in. His shoe size is 10. His eye color is Blue and the hair color is Dark Brown. Craig Coyne is a married man. 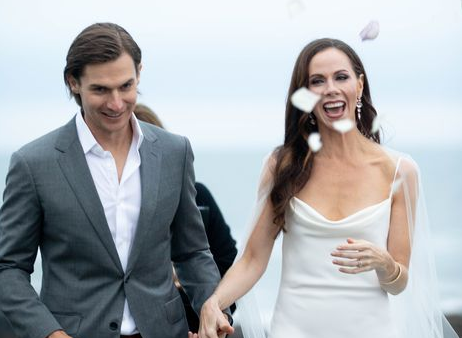 Recently, he married "Barbara Pierce Bush", daughter of former American President in a private Ceremony on 7th October 2018. The wedding took place on the coast of Maine. The wedding was confirmed by Jenna Bush Hager, Barbara's sister. The couple is living a peaceful life and there is no any sign of separation between them. The newly married couple is living a happy life together and starting a new life ahead. The net worth of this famous actor is estimated to have $800,000 as of 2018. He is earning a good money from his current work. He is satisfied with his earning. His salary is not revealed yet and will be updated soon. He also served as a Page in the U.S. House of Representatives. He has also two siblings, older brother, Edward James III, and younger sister Kathleen.